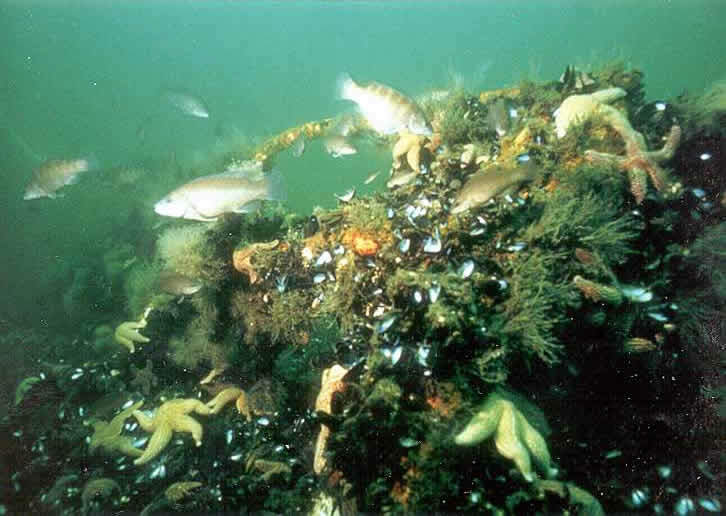 Approximately 1,300 tons of concrete castings consisting of junction boxes and large-diameter pipe will be spread out over a 46-acre portion of the Barnegat Light Reef Site, part of the division's Artificial Reef Program, on June 13, 2006, weather permitting. The concrete will provide an attachment surface for mussels, barnacles, hydroids, anemones, stony coral and other invertebrates, which will quickly cover the structures with a living carpet, providing the base of a productive marine food chain. 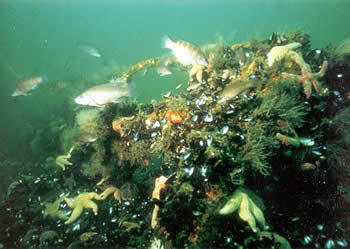 By fall, sea bass, tautog, scup, triggerfish and summer flounder will colonize the new reef. It will then become a favorite target of anglers coming out of Barnegat Inlet.